Dimitrios Serpanos holds a PhD in Computer Science from Princeton University since 1990. He received his Engineering Degree in Computer Engineering & Informatics from the University of Patras in 1985 (1st CE graduate in Greece) and his MA in Computer Science from Princeton University in 1988. Between 1990 and 1996 he was a Research Staff Member (RSM) at IBM Research, T.J. Watson Research Center working in the area of systems architecture for high bandwidth systems. Between 1996 and 2000 he was faculty member at the University of Crete (Computer Science) and a researcher at ICS-FORTH. Since 2000 he has been a professor at the University of Patras, Dept. of Electrical & Computer Engineering, working in the area of computer architecture and embedded systems with emphasis on network systems, security systems and multimedia systems. He has served as President (Chairman of the Governing Board) of the University of Western Greece (2010-2013). He has served as Director of the Industrial Systems Institute (ISI), an Institute of Research Center Athena (R.C. Athena) (2008-2013). He had been collaborating with ISI as a researcher since 2000. 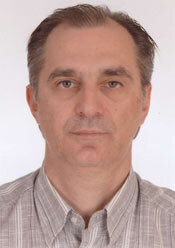 Dimitrios Serpanos is the 1st recipient in Greece of an IBM Faculty Award (2005). He has been working on computer architecture, network systems and embedded systems for more than 25 years, with special emphasis on building real systems and prototypes that are tested in the lab or in the field. At Princeton University, he worked on scalable shared memory systems and built PRAM/PLAN, a prototype system for a hardware-inconsistent shared memory model, suitable for interconnecting a large number of heterogeneous processor systems equipped with high-performance network adapters over a switch-based network with high-speed serial (fiber) links. The system was operational and used for over a decade for research in the area of scalable shared memory systems. At IBM Research he led the development of the first field-tried network attachment for mainframes that attached to the mainframe backplane, deviating from the classical IBM channel-based I/O architecture. Additionally, he worked on intelligent adapter architectures, introducing the concept of the specialized protocol/network processor, on high-speed switches, introducing the 2DRR architecture, on high performance routers and bridges, introducing HPTB, on residential network systems, multimedia services and security services. As a faculty member, collaborating with research centers, he has introduced a number of innovative network systems architectures like the ATLAS switch, the FIRM and Mutual Priority switch schedulers, the Tripod protocol processor architecture and practical switch schedulers using randomization like RoLM. He has also worked on a number of hardware and software system designs, including PDL, a C-based hardware description language that was used for teaching VLSI at Princeton University for several years, Video-on-Demand systems, access control systems, secure hardware and software systems, enterprise systems, etc. Most of these systems have been built, tested and evaluated.